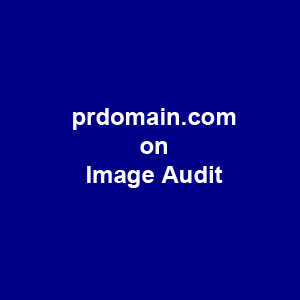 The image audit is a tool to measure the perception of the stakeholders. When carefully conducted, it brings out hidden perceptions about the organisation. In many organisations, a coterie of sycophants surrounds the top management. A well-planned image audit brings out the real perceptions of various stakeholders. In some cases, serious human resource (HR) issues are revealed and a smart organisation takes corrective action immediately. An image audit should be conducted at least once in six months. You have conducted image audits for a milk cooperative, a political party, a nationalised bank, a software company, a police department and a postal department. Can you tell us about those audits? When I conducted an image audit for a software company, it was found that a section of employees in a city was dissatisfied. The problem was traced to a communication gap between the management and the staff. The issue was sorted out before it blew up into a major HR issue. In the case of a nationalised bank that was undergoing a crisis, we came across customer and employee opinions that were quite opposite to what the top management had in its mind about the two stakeholders. The bank management thought that while the customers had lost faith in the bank, the employees were confident that the bank would sail through the rough weather. But when we conducted the audit, we found customers expressing faith in the bank in spite of the adverse media reports about the bank's financial position. There was no run on the bank. On the other hand, employees expressed their fear about the bank's future. Following our report, the bank management took immediate steps to enhance their internal communication and motivate their employees. In another case, the chief postmaster general of one region wanted us to study the public perception of the post offices. Based on the report, the postal department has been conducting PR workshops for all their front-office officials on customer relations for the past six months. First I hold a detailed discussion with the organisation to find out the purpose of the audit — the target audience to be interviewed and the perceptions to be gathered. Then a detailed questionnaire is prepared. This questionnaire is first tested on a small target audience. This is done to know whether the questions are clear and whether any corrections are to be made. Then the real survey is done. Keeping the identity of respondents secret is the crucial aspect of such surveys so that we get frank responses. When an outside agency does a survey, the respondents feel confident and secure to express their views. Quitting a cushy bank manager's job with Corporation Bank, the 51-year-old entered the PR rat race in 1998. After successfully handling Corporation Bank's initial public offering (IPO) in 1997, Srinivasan retired voluntarily from the bank to promote Prime Point PR. Today Prime Point conducts image audits for organisations ranging from corporates to cooperatives to political parties, apart from the usual PR activities.